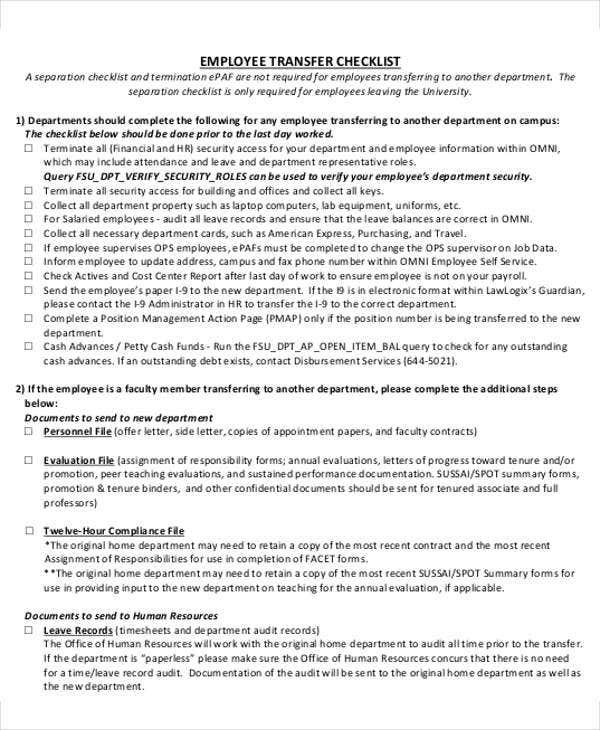 Are you a part of the human resources department in your organization? Are you on the look for Transfer Letter Templates which you can use for multiple transfer purposes? Templates that are readily available and can save you valuable amount of time? 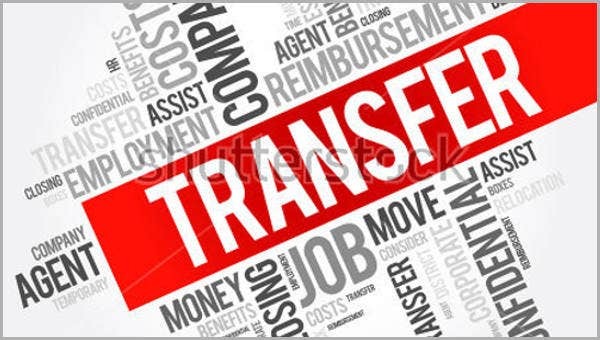 Worry no more because on our website, we provide you with plenty of transfer letter templates that you can choose from and use. 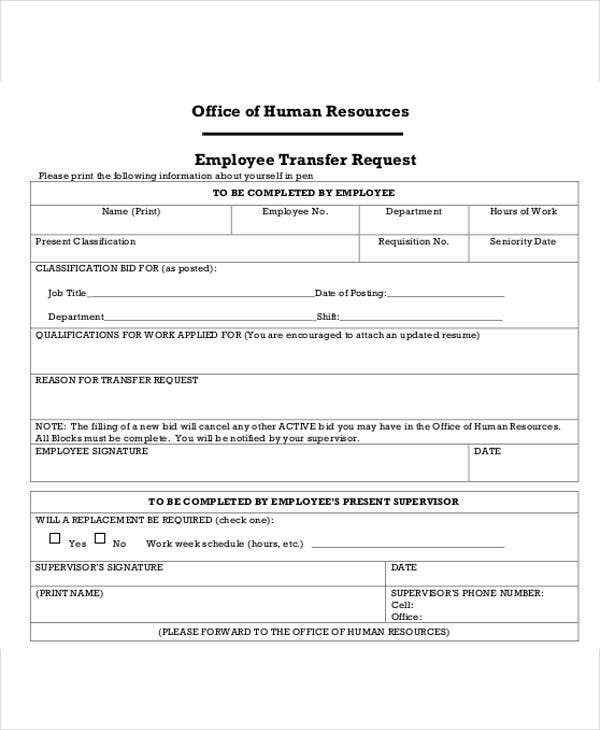 Our templates are custom made and designed to address transfer related with or are initiated by human resources that are free of charge, reusable, and provide an accurate content to be able to guide you in formulating your own. They are of good, well-researched quality and are simple to use. Simply click Download and they can get you started. 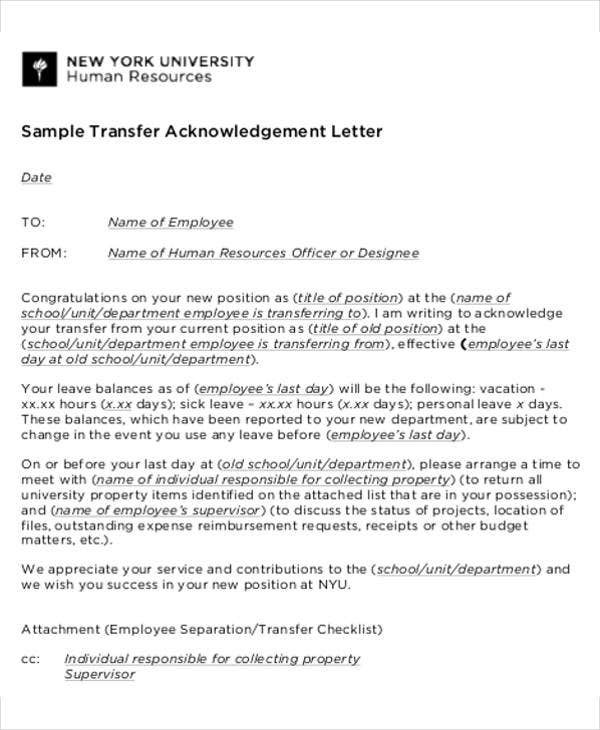 Before trying out some of our HR Transfer Letter Template, here is a quick run through on what a transfer letter generally is and the causes for making them and how to formulate one. 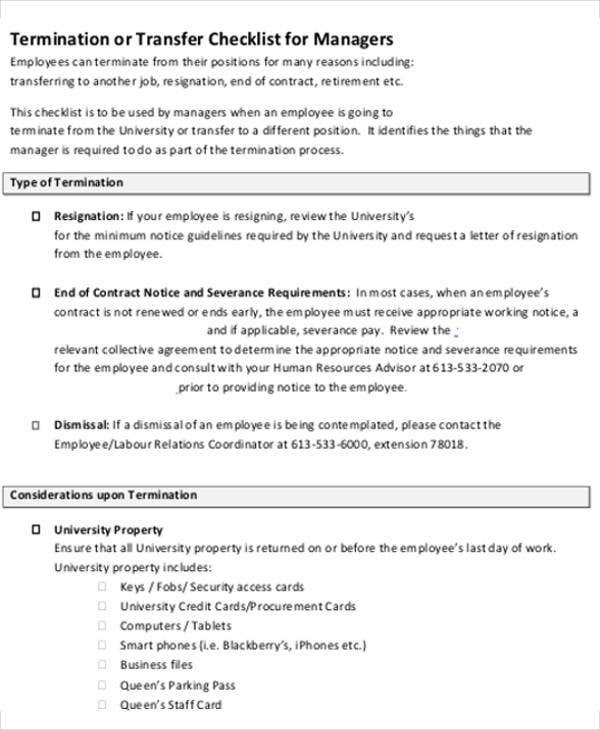 A letter of transfer is a notice for a request to move from one part of an organization to another. These letters are used when giving ownership to somebody else. These types of letters are commonly used in switching between departments at work or moving to new schools or churches. 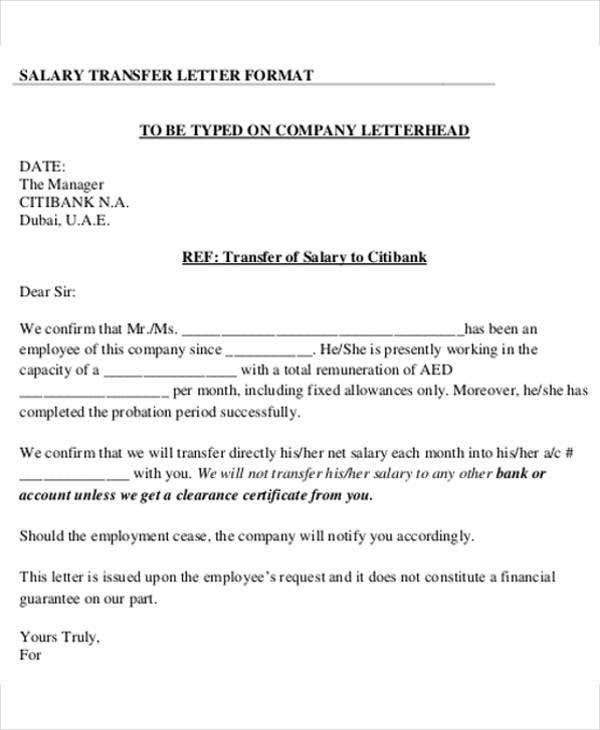 Aside from employees, employers or higher authority can also make use of transfer letters. Human resources are people who make the workforce of any organization. It is a department that performs human resource management and oversees the aspects of employment, such as compliance with the employment standard, administration of benefits, recruitment, and termination. 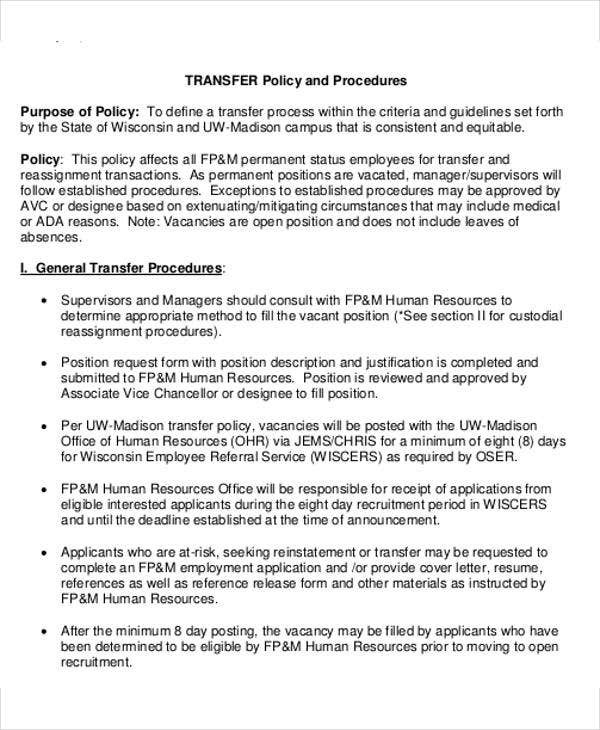 Seeing to it that the human resources handles many things, they also handle sending out transfer offer letters to employees and acknowledging requests from employees. It is vital to be thankful for the employee and their continuous contribution to the organization. It should clearly state the justification for transferring and its necessity. State the proper subject line that mentions the request for transfer. Mention the qualities and assets of the employee which makes them a candidate from transfer. We strive to keep you in your utmost convenience, and we know that having provided these templates, we are able to help with that.